Just because something fits into your drain, is chopped up by your garbage disposal or disappears down your toilet once you flush doesn’t mean it belongs there. This is especially true if you have a septic system. Play fast and loose with what you send through to your tank, and it could come back to haunt you. “One of the biggest mistakes homeowners make is putting things into a septic system that can cause clogs, damage pipes, and change the balance of the good bacteria needed to keep the system running smoothly,” says Audrey Monell, president of Forrest Anderson Plumbing and AC, in the Phoenix area. She’s also a septic tank owner herself. Here’s what should never be intentionally dropped or accidentally flushed into your septic system—and what to do if it already has been. One of the most important things to avoid putting into a septic system? Anything that’s not biodegradable. “That means they’ll just build up in your tank and can lead to problems like stoppages,” Monell says. Switch to biodegradable products or toss what you have in the trash instead. Another option that’s even better for the planet: reusable versions that you can keep for a long while. 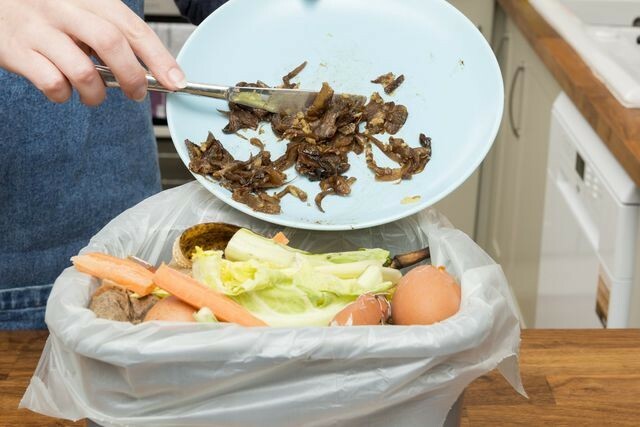 Food scraps will clog your septic system. It doesn’t matter whether you’re putting vegan sausage and kale or leftover bacon grease and Funyuns down your garbage disposal. Even coffee grounds can cause problems. “Once these items start to break down, they form a thick sludge [in the tank], which will lead to backups,” Monell explains. Compost your food waste instead and toss those coffee grounds onto your flower bed. While they will get rid of the slimy hair and other unidentifiable gunk blocking your shower or sink drain, the harsh chemicals in drain cleaners can wreak havoc on your septic system in several ways. For starters, they can cause corrosion on your pipes and tank, Monell says. They’ll also kill the “good” bacteria that’s needed to break down the waste in your tank. If you’re going to clean out a drain, use a natural product to do so—and make sure it’s septic-safe. You’d think that lots of water would keep things moving through your system, but in actuality you run the risk of your tank filling up too quickly, Monell explains. As a result, your system won’t function properly. Wastewater that gets emptied too quickly from the tank and into the drain field and surrounding soil could contain more sludge (read: human waste) and scum than it should. You probably already know the usual tips for conserving water, but we’ll repeat them anyway: Take shorter showers, and don’t run your washer and dishwasher until they’re full. Also, “make sure you don’t have any dripping faucets or leaking toilets that will fill up your tank without your knowledge,” Monell advises. It’s best to get a toilet lock for your toddler. 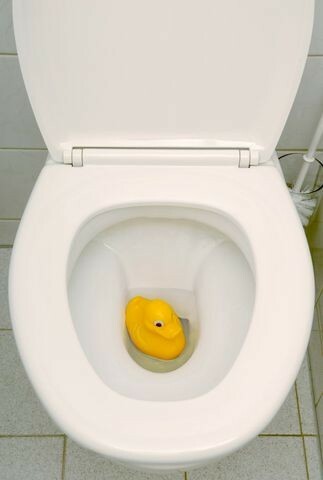 As any parent of a toddler knows, little ones can become obsessed with flushing things down the toilet—toys in particular, says John Parry, owner of South Fork Septic, in Southampton, NY. “This can be very hazardous to your septic system as toys can get stuck in a pipe and block the waste flow, therefore causing everything to back up,” Parry says. And once a problem does surface, it’s tough for the septic company to pump the system out. Soggy remnants of paper towels can cause the pump to jam and ultimately lead to costly repairs, Parry says. Over half of the U.S. population depends on groundwater for drinking water, but it’s easily contaminated—by things like a few cans of extra paint or paint thinner. Contact a local nonprofit like Habit for Humanity, whose volunteers may be able to use your extra paint. Or, find a nearby hazardous waste drop-off site. Hey, no one’s perfect. If you’ve already accidentally flushed one of the aforementioned items, don’t worry too much—so long as it’s a one-off event. One wayward paper towel or Hatchimals toy is unlikely to derail your entire septic system.